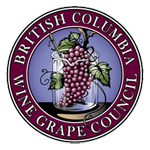 The BC Wine Grape Council is proud to team up with St. John Ambulance as our Safety Partner. As Canada’s leading first aid and safety charity, St. John Ambulance is committed to enabling Canadians’ health, safety and quality of life through training and charitable community service. St. John Ambulance focuses their efforts on ensuring people are SET™ with Safety Education & Tools at work, home and play. Through their training & products, their impactful team and history, and their dedicated charitable community programs, St. John Ambulance is the Safety Partner for every resident in British Columbia and the Yukon. St. John Ambulance serves B.C. and the Whitehorse, Yukon communities through a network of 24 branches and 100 staff members, where they train over 80,000 students annually through their 10,000+ classes. Their volunteers provide first aid in their communities to keep people safe at public events, and also improve quality of life through community care programs that help seniors, and provide leadership opportunities for our communities’ youth. They are consistently campaigning to raise public awareness of first aid, CPR, and safety and strive to have every British Columbian and Yukon resident SET™ with Safety Education Tools at work, home and play. • WorkSafeBC First Aid Kits: Fully-equipped kits to ensure you’re set for safety at work – no matter the size, location, or hazard-level of your workplace. St. John Ambulance also offers convenient refill kits so you can avoid the hassle of having to replace your entire first aid kit. • Automated External Defibrillators (AEDs): As the largest provider of AEDs in B.C. and Yukon, St. John Ambulance offers an extensive range of models with the convenience of AED packages that include accessories, training, and ongoing support.